Kids explore the sights of Paris; travel helps kids value difference and diversity. Even if your children are too young to remember every detail of a trip abroad, the benefits are well worth it. Words Sally Webb. Why pay all that money to take your kids overseas if they’re too young to remember it? If I had a dollar for every time I’ve been asked that I’d be flying at the pointy end more often. My response is always the same: the kids might not remember every aspect of the trip, but as parents you will, and they will benefit from it. The holiday itself can become part of your family’s folklore, and through photos, videos and souvenirs you can relive it again and again as the kids grow older. There are many unexpected benefits to travel that go well beyond ticking things off the family bucket list, and it’s worth bearing a few of them in mind when you’re weighing up the pros and cons of that next trip. Every new sight, sound or smell contributes to the developing brain in a child, developing synaptic connections between the brain cells to capture that experience. The key point is that the experience is new – rather than the same repeated experience – and travel in any form is one of the best ways to provide this. From the time our children are small, we spend an inordinate amount of time creating and maintaining routines in our daily lives, with dinner at five, bath and bed giving way to school, homework and weekend sport. Travel turns that predictability on its head, and dealing with that change can be a really positive experience for kids. And learning skills such as packing a suitcase or navigating an airport or coping with a long and unexpected delay can be excellent early training for future global nomads. Although our society is lauded as a multicultural success story, xenophobia and racism are alive and well, so it’s important that we teach our kids how to appreciate difference and value diversity. Travelling to foreign countries and experiencing cultures that are vastly different to our own is one of the best ways to do this. Learning about a new culture through its food is both delicious and educational and travelling provides a fabulous opportunity to get kids excited about different cuisines. That exposure can also have a lasting influence on a child’s palate. Never underestimate the power of introducing your kids to the flavours of the country you’ll be visiting before you leave home. 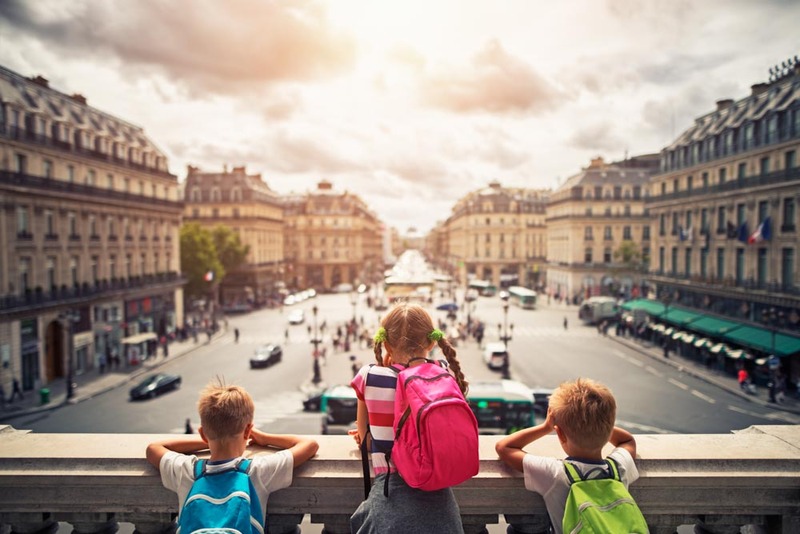 The research is in; kids who travel widely do better at school compared with their non-travelled peers. But anecdotally, this is the reason I invest so much time, energy and money travelling with my kids. I know that travel has made them smarter, more worldly, more inquisitive and more accepting of difference. Sally Webb is the founder of Travel Without Tears, which provides inspiration, advice and bespoke trips for families.